Steamboat Springs — Routt County Habitat for Humanity started taking applications Monday for its next project in Steamboat Springs. And that’s not all. 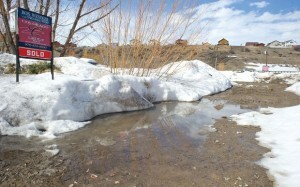 The nonprofit organization also unveiled the site for the project, 2750 Honeysuckle Lane in the Riverside neighborhood in west Steamboat, during a ribbon-cutting ceremony that also celebrated completion of the land purchase and recognized those who helped make it possible. Habitat bought the 1.89-acre lot for $130,000 from Ron Wendler. It used a $75,000 grant from the city of Steamboat Springs’ Community Housing Found and a no-interest loan of $55,000 from the Yampa Valley Community Foundation’s Habitat for Humanity Revolving Land Fund, formerly the 100 Hammers for Humanity fund. Jody Patten, Habitat’s executive director, said it would use one-quarter of the lot for a two-unit duplex that would house two families. She said the plan is to include three bedrooms and two bathrooms in the 1,200-square-foot duplex units, but that could change depending on the needs of the families chosen. Patten said the rest of the land would be used by the city. 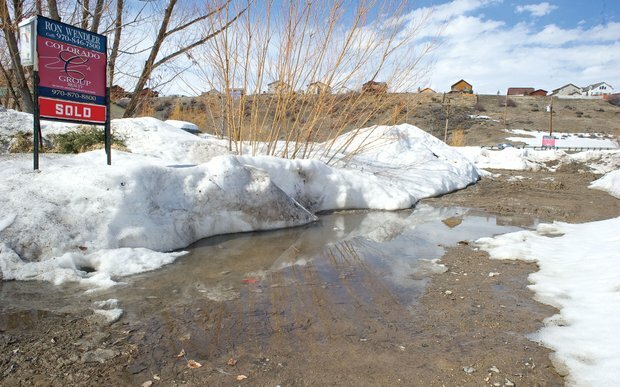 Interim City Manager Wendy DuBord said Steamboat’s portion of the lot would be used for wetlands mitigation and the possible construction of a trail. Patten said families at 50 percent or lower of the area median income are eligible to apply — online or by visiting the office — to become a Habitat recipient. According to 2010 figures, a family of four at 50 percent of area median income earned about $40,000. Habitat families are required to put in 350 hours of what it calls “sweat equity,” or work, on their homes. They’re also required to pay the home’s mortgage, at no interest, to Habitat. Applications are due by May 1. Patten said a committee would choose the families, hopefully by September or October, when Habitat would like to break ground on the duplex. She said the goal is to complete the project by the end of 2012. To do that, Patten still needs to raise about $160,000 — she anticipates receiving $60,000 in state and federal grant funding — for an estimated cost of about $110,000 per duplex unit. Habitat Board of Directors President Ken Otterman said the term “affordable housing” is used frequently but that this was a real example of what the organization does. “Our business is to help people get into housing,” he said.